Only an alien wouldn’t love ice-cream. Seriously, who can say no to a bowlful of thick, creamy heaven? Ice cream is love! The best way to beat the summer heat is with an ice-cream. Baskin-Robbins, Vadilal, Kwality Wall’s are all fine, but what do you do for those mid-night cravings? An ice-cream machine is one of the most fun appliances to add to your kitchen. You can experiment and come up with your own flavors without having to worry about hygiene offered by commercial outlets. So, how do you select an ice-cream maker machine? How to select the right home ice-cream machine? There are several options available in the market right now. The deciding factors, as always, are your budget and the features you’re looking for. 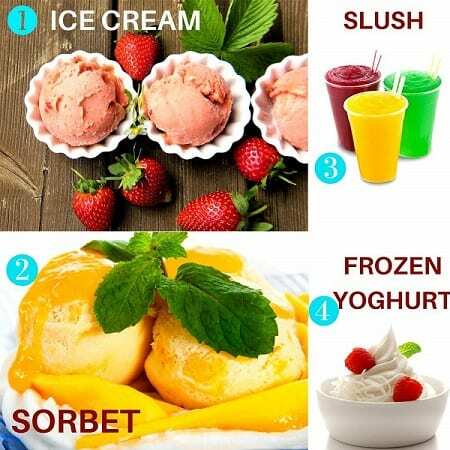 Cheaper models require pre-freezing of mixing bowl while the high-end models offer features to make gelatos, icy-drinks, sorbets and yogurt besides ice-cream. This is the conventional model. It contains an ice and salt bucket, an inner container for ice-cream and a churning motor. The machine uses rock salt and ice and needs to be churned manually. By far, these are the most economical and easy to use models. These comprise of mid-range machines for ice-cream making. They have a gel-container which you need to put into the freezer for a day to get cold. Then you put its ingredients in your maker and let the machine stir them until your ice-cream is ready. A bit on the higher end, the compressor ice-cream maker for home use is highly recommended for super smooth ice-creams. The machine comprises of a compressor which chills. Nearly everything is automated. You just need to add your ingredients and press the start button. Well, now that you are in a better position to select the right soft ice-cream machine, let’s review some of the best loved models in India. 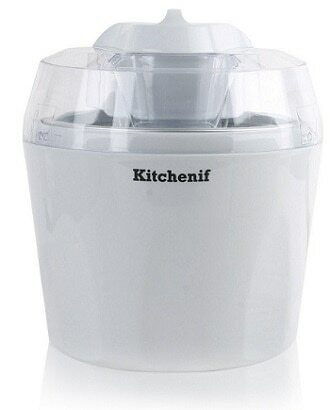 1) Kitchenif is a well-loved brand. 2) Their digital ice-cream maker comes with a built-in timer with automatic on and off feature. 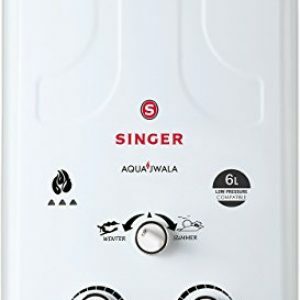 3) The ice-cream maker is built along modern design lines and has a capacity of 1.5 liters which is enough to delight your whole family in one go. Automatic digital timer which stops the machine after the preset time. It is advised to freeze the ice-cream bowl for 12-18 hours in a double-door or above freezer. This is because the single door refrigerator does not have the require temperature for freezing the bowl. The Sphere Ice-cream maker has an unusual look. It reminds you of the ancient times when ice-cream making was more of a professional thing. But, before you judge, let us tell you that the rustic look is only topped by a potent electric motor of 250 watt! This means that you get the charm of old times with modern engineering. 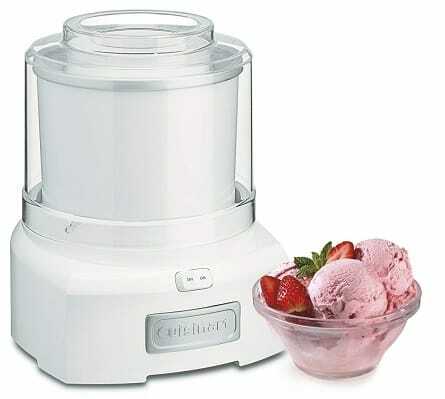 The ice-cream maker can be used to make ice-creams, gelatos, sorbets and more. You can prepare 4 quarts of your favorite ice-cream. Some users feel the design to be redundant. 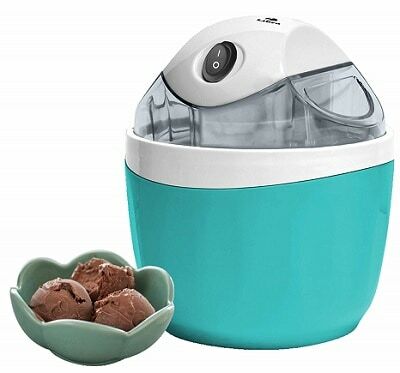 Another Kitchenif product to find a place in our Top 1O list; this ice-cream, slush, sorbet and frozen yogurt maker is an awesome all-in-one appliance for your kitchen! 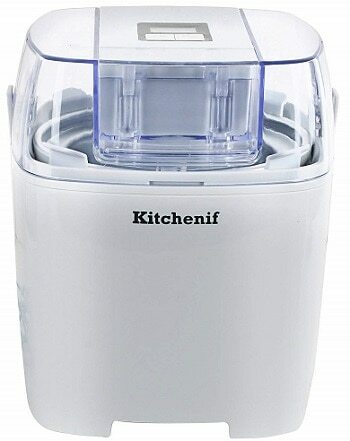 Supported with an ergonomic design, this all-in-one ice-cream maker works exactly as advertised by the company. There is an in-built digital timer which turns the maker on or off automatically, accentuating the emphasis on the modern design. 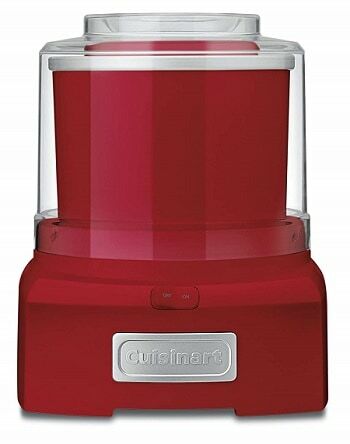 Cuisinart was one of the first companies to advocate electric ice-cream makers for home. 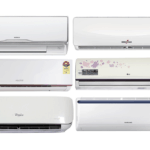 Even today, the company continues to bring forth new products which make day to day life easier. 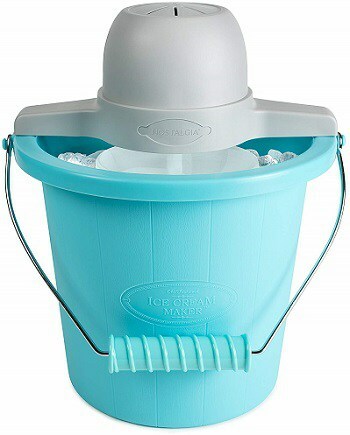 The Ice – 21 Ice-cream maker is so easy to operate that even your kids can use it! The ice-cream maker is fully automatic; with a mixing paddle that can create frozen desserts in less than 30 minutes. The maker also has a large capacity bowl which can create 1- ½ quarts in a single sitting. 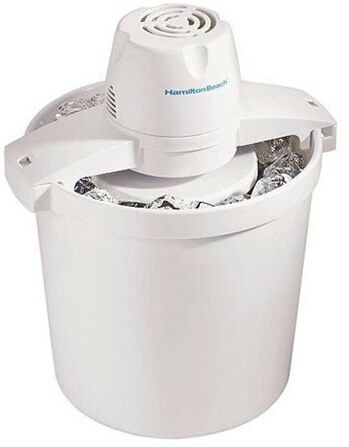 The freezer bowl is double insulated which removes the requirement for ice. You can watch as the ice-cream gets made with a transparent lid. Priced at around 12k, this model is very much on the higher end and is rarely recommended for beginners or amateurs. Another high-end product from Cuisinart to feature on our list, the ICE – 21R is guaranteed to savor your taste buds with the smoothest ice-creams ever! With a modern design and large capacity of 1- ½ quarts, all you need to do is add your ingredients to your mixing bowl, press on and chill! The machine will do it all for you. What’s more? You can also make frozen yogurt and sorbet of your choice in less than 20 minutes. Being an imported product, the motor is AC driven. 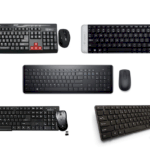 You would need to purchase a convertor for changing 60Hz to 50Hz. Have you ever wanted to swim in a tubful of your favorite ice-cream? We know, we wanted to. And it seems possible with this beast of an ice-cream machine! You can make up-to 4 quarts of your favorite gelato, frozen yogurt or ice-cream. Holy moly, that’s a lot! Not only this, the unit has a locking motor mount with a durable and sturdy aluminum canister and a plastic bucket which is easy to clean. The machine is imported from USA, just like its predecessor above. You might have to check for consistency with Indian voltage system. 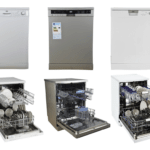 Hamilton Beach is a popular for its pocket-friendly range of kitchen appliances. 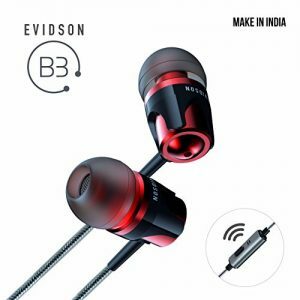 Their product line is reliable and has premium quality products. 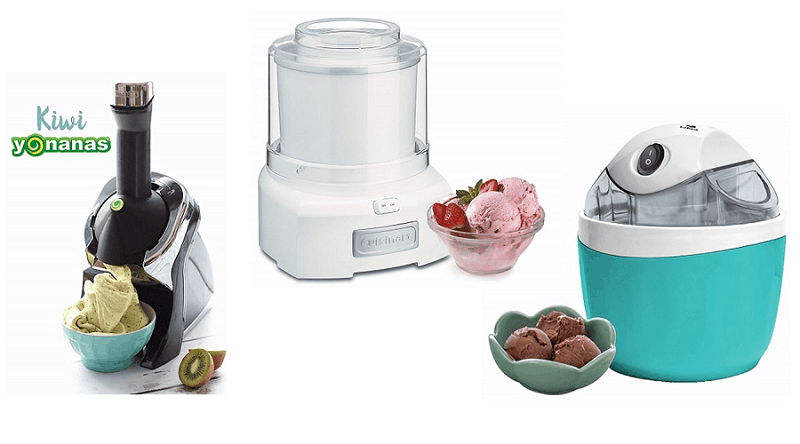 The 68330R ice-cream maker is highly recommended for professionals. Equipped with a 4 quart mixing bowl, you can create multiple batches of ice-creams quickly. 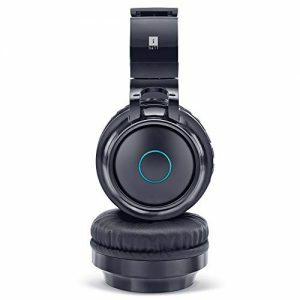 The unit is fully automatic and has a safety lid and easy lock. Welcome to Libra’s wonderful ice-cream maker for you to make delicious desserts while sitting at home! Anyone including your kids can use this to create yummy ice-creams. All you need to do is to refrigerate the inner bowl for 12-18 hours before using and then add all the ingredients to it. The rest will be taken care off by the machine! 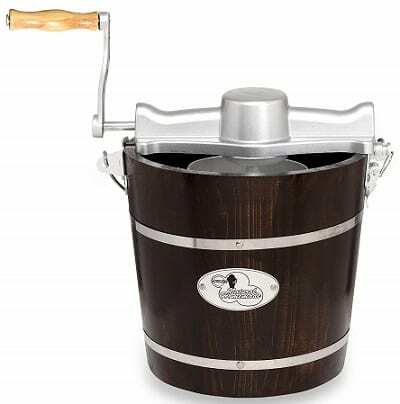 The sturdy PP pedal inside the machine moves effectively to create smooth, rich ice-cream. The motor is made of 100% copper wire which is long lasting. The top lid is rotating, lock type and is detachable. You can also remove the motor section easily for cleaning. The unit works on reverse thermostat mechanism with a double insulated bowl for churning the yummiest ice-creams every time. Very low volume of ice-cream and other frozen desserts can be prepared. If you are looking for an inexpensive and easy to use ice-cream maker for individual usage, then Shopo Yonanas Ice-cream maker is ideal for you. 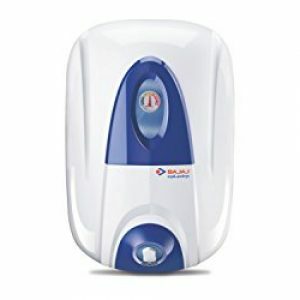 The unit comes with a built-in handle and is very easy to use and clean afterwards. You can create tasty frozen desserts with a lot of fruit toppings with this one. The powerful motor will churn them into a smooth, creamy texture for you to savor. 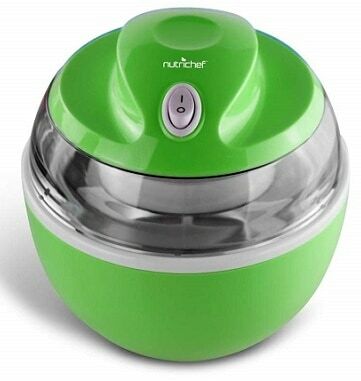 Last but not the least on our list is NutriChef’s PKICCM20 Ice-cream maker. Packed with lots of features, this one will ensure that ice-cream making is fun for all ages! You can go with internet based recipes or experiment with home-made ideas with its integrated mixing blade. The ice-cream maker is easy to operate with a plug-in design. 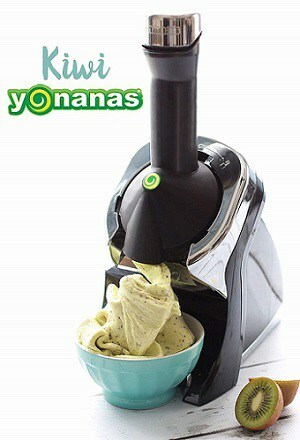 You can create gelato, frozen yogurt, sorbet and ice-creams of your choice. 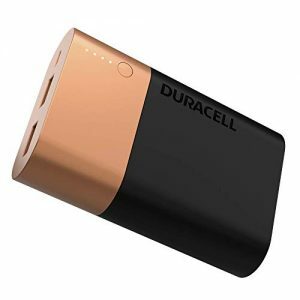 Will only run on 111Volts and you will need to a step down/voltage converter. We hope you find our list interesting. Ready to buy one for your home or you have any other ice-cream maker that you prefer? Tell us in comments below and we’ll include it in our next review!